Dr. John Doemeny is a board-certified radiologist, fellowship-trained in Cardiovascular and Interventional Radiology at the University of Pennsylvania Health System. He did his medical schooling at the University of California, San Francisco and then completed his internship at the Scripps Mercy Hospital San Diego. Dr. Doemeny pursued his residency in Diagnostic Radiology at the University of California, San Francisco. 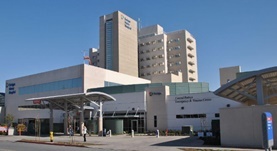 At present, he is affiliated with the Scripps Mercy Hospital –San Diego. Dr. John Doemeny has contributed to 3 publications. Diagnosis of pulmonary hemosiderosis by MR imaging. Rubin GD Edwards DK 3rd Reicher MA Doemeny JM Carson SH; AJR Am J Roentgenol. 1989 Mar . Angiographic embolization in the management of hemorrhagic complications of pregnancy. Gilbert WM Moore TR Resnik R Doemeny J Chin H Bookstein JJ; Am J Obstet Gynecol. 1992 Feb .
Biliary ductal shave biopsy with use of the Simpson atherectomy catheter. Schechter MS Doemeny JM Johnson JO; J Vasc Interv Radiol. 1993 Nov-Dec .